Bucket lists are like opinions. Everybody has one. But that does not mean you have to be content with a run-of-the-mill bucket list that’s like everyone else’s. You need an epic adventure bucket list that will make everyone jealous. And you have to do it better and make sure that a single summer is enough to complete your list. Everybody knows the Grand Canyon. But how many are brave enough to hike it? Add yourself to this very short list. Hiking the Grand Canyon is more than a challenge. It can be rewarding and pleasing because the place is so beautiful. Getting to the place will make you feel like you’re in a Hollywood film, which is not surprising because many blockbuster films have used it as a setting. After hiking the Grand Canyon, you can go straight to the Colorado River at the base. This is a famous spot for people who enjoy whitewater rafting. You don’t need to hike the Grand Canyon to get to the Colorado River. But since hiking is already part of your itinerary, you should tick off the items on your bucket list as you pass them by. The two items above need a little bit of time to complete. Many experienced travelers estimate that hiking the Grand Canyon and visiting the Colorado River at the base is at least a six-day adventure. You should add a day or two more because the trip would be a waste if you don’t take the time to enjoy the view. Even people who don’t have a bucket list should visit the Joshua Tree National Park at least once in their lives. It is one of the most beautiful places on Earth and is the closest one can get to visiting a different planet. This is because the place is home to strange plants and an alien-like landscape full of massive boulders and rock formations. 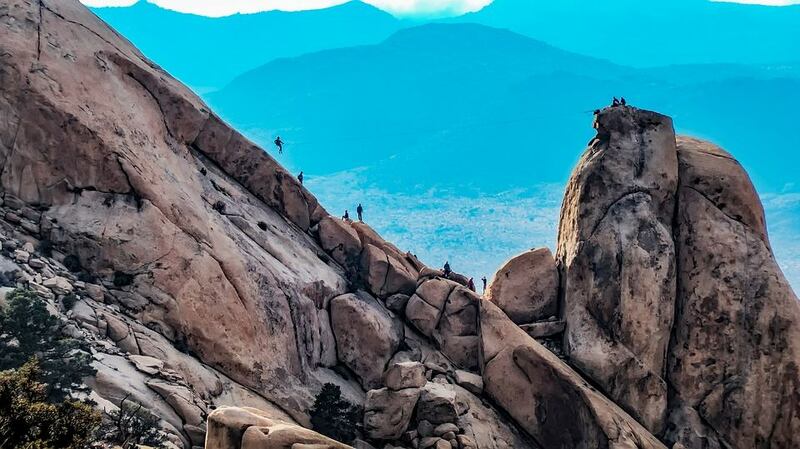 The best activity to do in Joshua Tree National Park is rock climbing. There is plenty of beautiful rock formations that you can tackle armed with nothing but a good pair of hiking boots. But there are better, more advanced rock formations that you must experience. But they need better skills than a novice can muster, so if you plan on any Joshua Tree climbing activities, make sure you get in touch with a good climbing school in the area such as Joshua Tree Uprising.